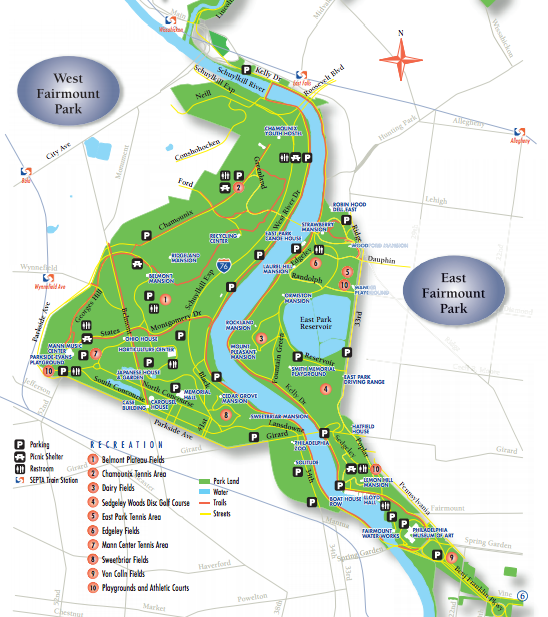 A great option in south Philadelphia is to run in Olmsted designed Franklin Delano Roosevelt (FDR) Park. This is sort of like Franklin Park in Boston, with numerous trails, a golf course, and other recreational options. Start at Marconi Plaza (where a statue honors Guglielmo Marconi, the inventor of the radio), on Broad St., near the Xfinity Center where the Flyers and 76ers play, then head south toward FDR’s Pattison Avenue entrance. 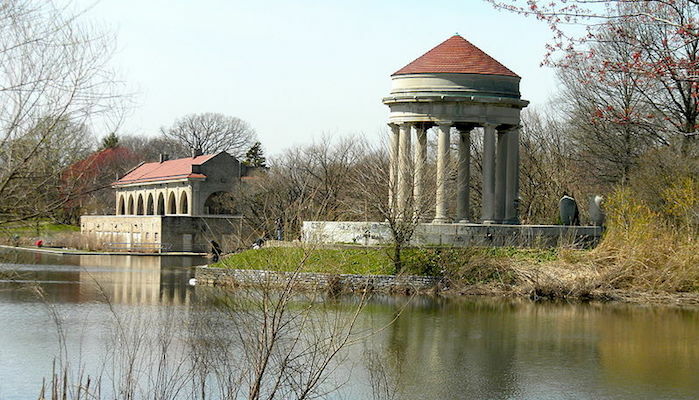 A lap of the park, with views to the lake, the golf course, and attractive gazebo, is about 3 miles. 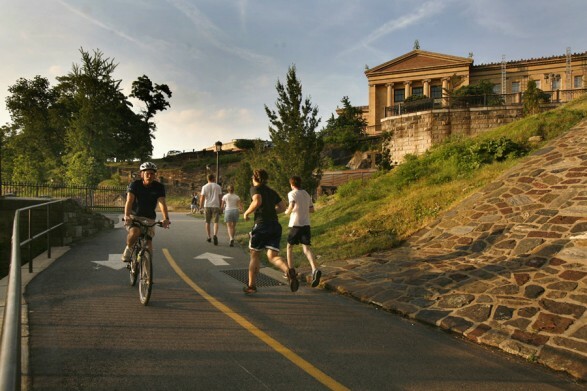 This route also has a tour of the Philadelphia Navy Yard, for views of the boats and the ‘grittier’ side of Philadelphia. 5.45 miles. Start at Marconi Statue, Broad St.